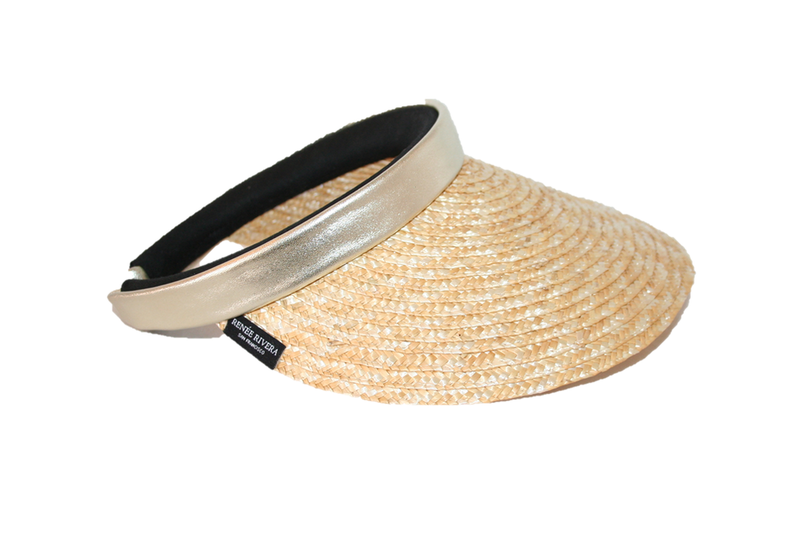 Our natural straw sun visor is elegantly trimmed with soft lamb skin leather and will give you ultimate UPF50+ protection from the sun because of the 5" long by 10 1/2" wide brim. Moisture wicking sweatband and all natural straw makes this visor lightweight and comfortable. Not all the colors on the color card are available. 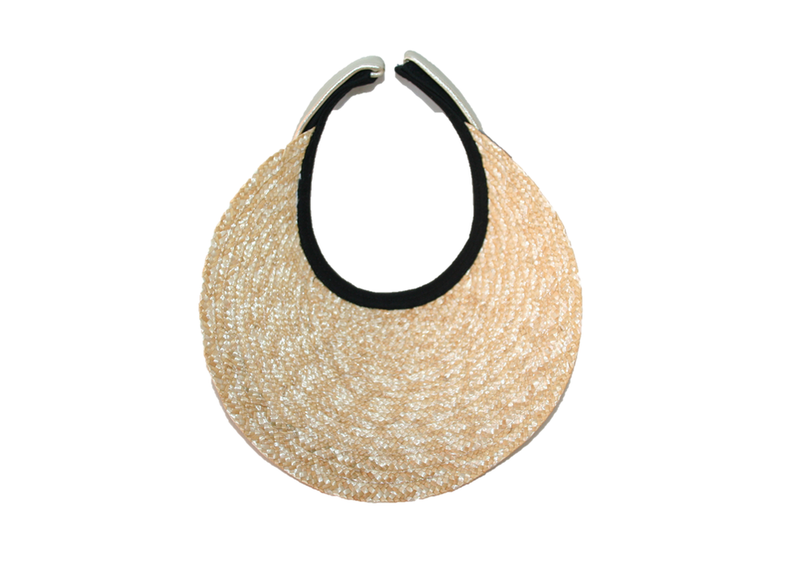 Listed are 13 of the prettiest leather color combinations with this color straw.